Tom Goom is a physiotherapist and Gooner. He loves Arsenal, cheese and shooting thirty yards over the bar. He hate grass munching, racist centre halves, and former Manchester United strikers who look like Black Beauty’s ugly diving younger brother. May 1st 2006. Injury time at the Stadium of Light. Arsenal lead Sunderland 3-0. Dan Smith hits Abou Diaby hard with an over-the-ball challenge, studs down onto his right shin, just above the ankle. It is immediately obvious something is wrong but somehow Diaby manages to limp off, his right foot hanging at an odd angle as the physio helps him to the sidelines. In the media furore that follows, the usual dialogue takes place; one side deplores the “horrendous” tackle, the other insists “he’s not that kind of player“. That’s all been debated ad nauseum, and my aim isn’t to go into that but rather to look at the impact this has had on what was a blossoming career. Diaby suffered a fracture dislocation of his right ankle. 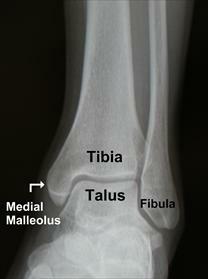 It is common in these injuries for both tibia and fibula to break, sometimes in several areas. We don’t know the exact details, as football clubs rarely release them – it is, after all, confidential patient information. When the ankle dislocates there is trauma to the surrounding ligaments as well as the bone and ankle joint. The pictures below show normal anatomy (A and B) and potential effects of a fracture dislocation (C and D). In Diaby’s case, he had three separate surgeries to repair his injury. It is likely that this included an ORIF (Open Reduction Internal Fixation) of some description, depending on the nature of his injury. I see these fractures regularly where I work as a physiotherapist, and they can be challenging to rehab. 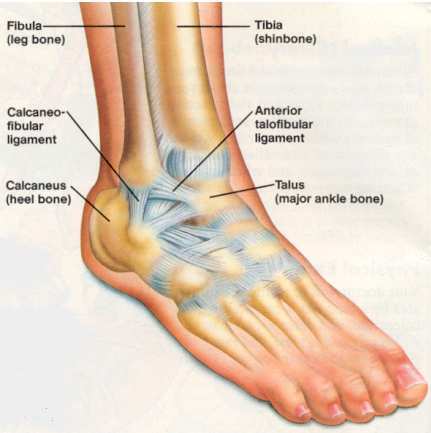 The nature of the trauma causes a lot of swelling and stiffness in the ankle joint. 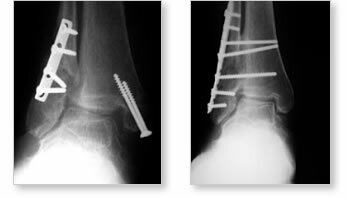 It is quite rare for a patient to recover 100% range of movement in the ankle, even with intensive treatment. The fact that Diaby was able to return to action nine months later is a great credit to Arsenal’s excellent medical team. He made 28 appearances in all competitions in 2007-2008 and by 2009-2010 that number rose to 40, before he featured for France in their disappointing 2010 World Cup. But that doesn’t tell the whole story. Diaby has reportedly had 29 injuries since 2006. On average a player would expect two injuries per season. He has, on average, had around five per year and faced lengthy layoffs, playing just 20 times in 2010-2011 and featuring just twice this season. Diaby’s most recent absence has been down to the surgery he had on his ankle this summer. Again few details have been released by the club, but it is possible he had the original metalwork removed, as this can cause problems. That said, professional footballers often have this removed at a much earlier stage. On returning to action Diaby has picked up a hamstring problem that has ruled him out again. I can only imagine how frustrating that must be for him. It is easy for us as Arsenal fans to criticise Diaby or the Arsenal medical team for his repeated injuries. Many have the attitude that we should “get rid“. I think though that the blame lays clearly at the severity of the initial injury and not its management or Diaby’s ineptitude. Or blame John Terry. 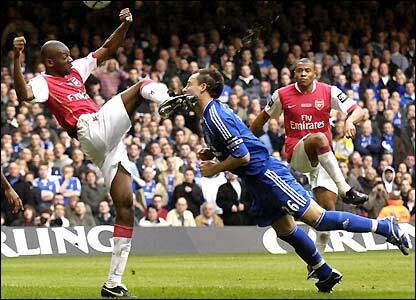 Maybe Diaby re-injured his ankle when he volleyed Terry’s hideous concrete block of head? More likely though is the long term effect Diaby’s injury will have had on his ankle and how that affects other areas. 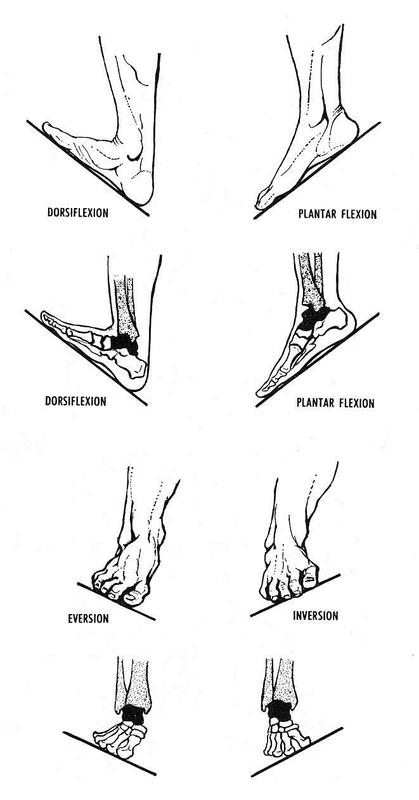 One of the most important movements of the ankle is dorsiflexion (see picture for details). We need this for so many functional movements; walking, running, squatting, lunging and many activities that involve impact. Unfortunately it’s very hard to fully restore after this type of injury. Side to side movement (inversion and eversion) is also essential. When we balance on one leg the ankle can adapt by moving one way or the other allowing fine control of balance. Without these movements it becomes harder to balance and the body often adapts by placing more stress on the knees or surrounding muscles. This may be why Diaby has had knee, calf, hamstring and groin problems since his injury. In addition, if the ankle is forced into a position where it is stiff, during a tackle or striking a ball for example, there can be further injury to the ankle. So, what does the future hold for Abou Diaby? My hope is that with a gradual return to first team action Diaby will be able to reach the level he did in 2009-2010 where he made 35 starts for Arsenal. Five years of persistent injuries though makes me wonder if this will ever be a realistic outcome. For his sake I really hope he can make it. At 25 he still has time on his side to fulfil some of the potential we’ve seen from him at his best. Thanks for the detailed explanation, it was very enlightening. I am a fan of Diaby’s and always thought he was one of the most gifted footballers we have. Like you, I have my reservations as to whether he will ever return to the same level prior to that dreadful tackle. Michael Owen suffered from a different physiological problem, but, in his case, once his hamstring injuries became chronic he was never the same again. Disappointing if the same happens to Abou! 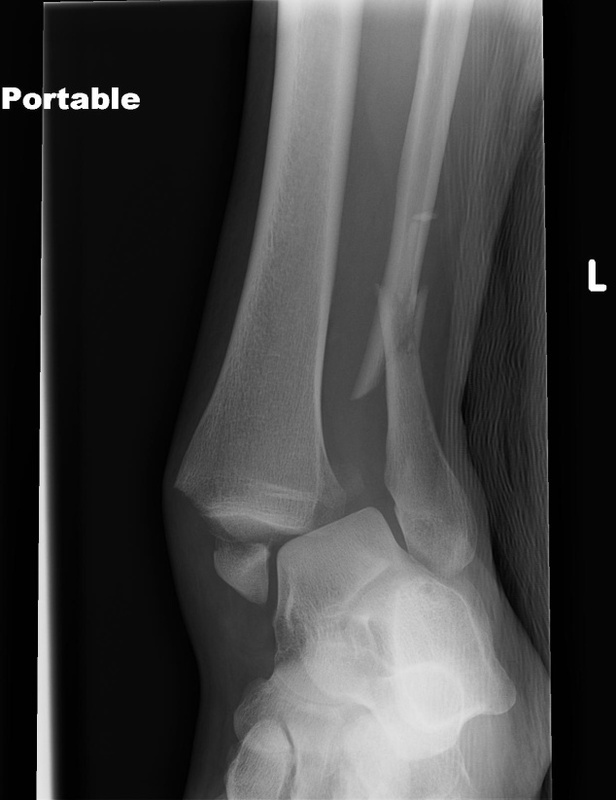 A similar injury caused by a two footed tackle on my left ankle resulted in the cartilage in the left ankle damaged, cartilage fragments floating in the joint area and a great deal of pain for 18 years later. The time it took to have arthroscopy to clear these fragments in the ankle has led to other problems on the right knee and worst of all osteo arthritis in the right hip and to lesser extent the left hip. Basically what I am saying is the initial injury is only part of the problem the other injuries that develop are an outcome of the body trying to rebalance and protect itself. The only advantage Diaby would have over the likes of amatuer players or sunday league players is the level of treatement and the immediacy of the treatment. Trying to convince a GP that you need specialist treatment is not always the easiest thing to do! Great insight. Diaby’s injury was worse than those suffered by Ramsey and even Eduardo. Fans who blame an injured player and call him names are stupid as well as those who think that it is good thing for Arsenal to ‘get rid’ of one their players when he’s injured. Arsenal FC has the duty of care for Diaby and other players who are injured because they suffered those injuries while on duty. You’re right in saying that the injury affects the movement and the balance of the player even after a recovery Arsene himself said something similar last year of the year before, i don’t really remember the time. He said that Diaby’s ankle is looking the other way something like. Then this year he said that Diaby’s muscles are weakened by that injury so we can see from those remarks that it is really serious injury. I’m a huge fan of Diaby too, and I too am frustrated by his perennial injury problems. I guess your article shows just how hard it is to come back from something like that, and that its not really his, or the med team’s fault. I just hope Wenger’s faith in his recovery is well-placed. If I’m not mistaken, even Ramsey fractured his tibia and fibula at Stoke, and he definitely looks like he made a full recovery. And like Diaby, even he was 19 when he got injured. I remember Wenger saying at that time that young players have a much better chance of making a full physical and psychological recovery from injuries like that (as opposed to, say, Eduardo – what a terrible terrible shame). Clearly its taken a lot longer for Abou, and I’m no physio/doc/medieval bonesetter, but I hope Diaby comes back, once and for all, in the near-and-forseeable future. Arsene Knows. In Wenger We Trust. Great post Tom. It’s too easy to slate players for injury troubles, or say that it shouldn’t bother them as they earn so much, but that is way too simplistic. Imagine being that talented and working your socks off to make it at a top club, only for injury after injury to stop you from doing what you love. Sure, the pay is a consolation, but it doesn’t mean the player isn’t hugely frustrated. And such a pointless tackle too. A bit like Rosicky, it is easy to forget just how good he was. Still hold out hope that he will make it back, but fear he is destined for a stop start career. Nice to have some good writing on the blog! Diaby Fan, you’re right about Ramsey making a better recovery but I think it’s because his injury was different to Diaby’s. I might do a piece on that too. 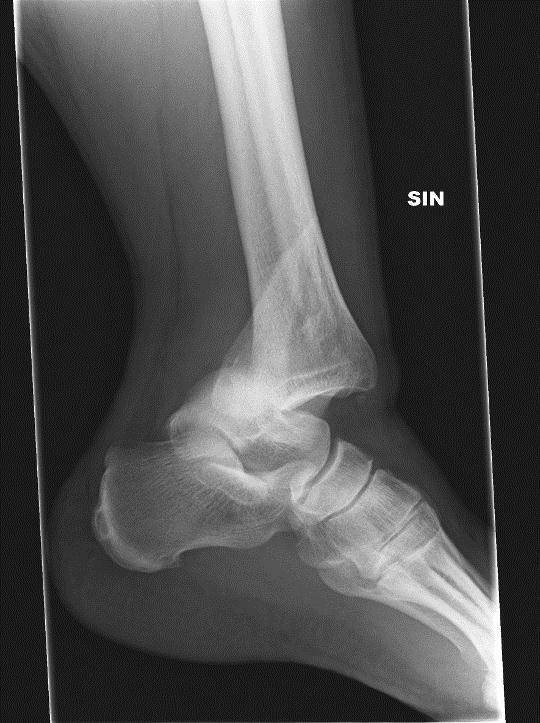 He broke both tibia and fibula but above the joint so less damage to the ankle ligaments and joint. Easier to make a full recovery. Very interesting, thanks for sharing your insight in such detail. It is clear that Diaby has had an ankle arthroscopy and tidy up of the joint, most recently that is. His ankle clearly has early osteoarthritis. We obviously know that he will never play 40/50 games a season ever again. Best we can hope for is 20 games with special adaptations to rest and his training regime. Ah- I hope I will not be getting another injury anytime soon. So, as you are a physiotherapist, do you reckon it helps for participants to listen to music , for example, like this pop / techno http://www.fisheadmovie.com/downloads while they are doing physiotherapy? Or I wonder if people just do it silently? Got to listen to the instructions of the physiotherapist, mind. I am just thinking about it because when I am in pain, I really appreciate having the radio on or just some noise to distract me. I suppose how long a physiotherapy session is meant to be, and what movements are involved in one such session, depends upon a very complex combination of factors- I am utterly clueless about this one.